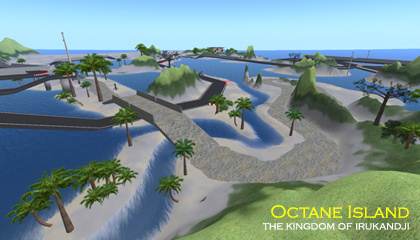 NOTE: This page is about Octane Island on The Reef grid. 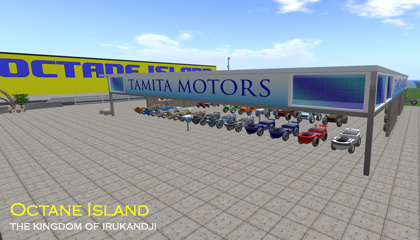 The InWorldz version is here: Octane Island in InWorldz. 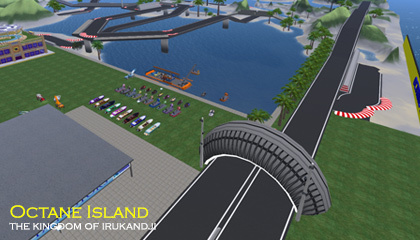 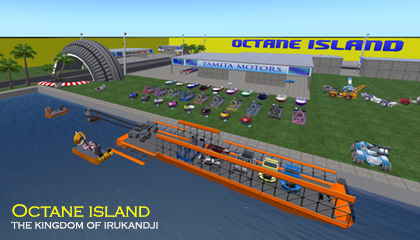 The massive motor racing complex, Octane Island was a one-million square metre varregion on The Reef Virtual World. 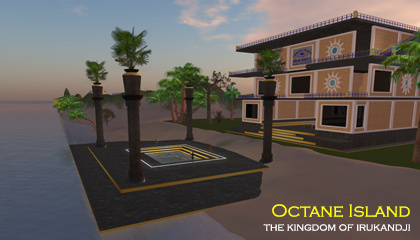 The concept was a continuation of the much smaller Octane Island from the year before on InWorldz. 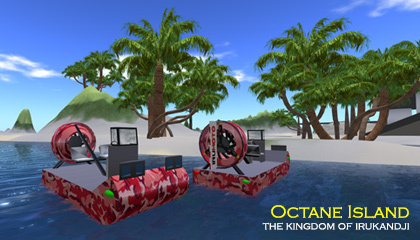 Only months separated the two versions, but this instance of Octane Island was vastly superior in tech. 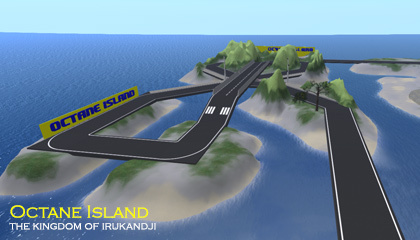 Coupled with being free of sim crossings, this meant that motor racing sequences were much smoother and interrupted. 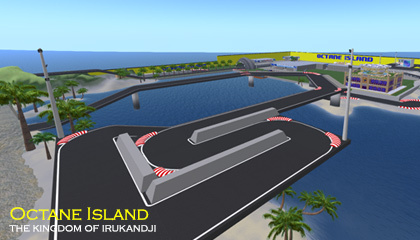 Though I keep an offline instance of Octane Island for testing, I've moved away from the concept of a racing-only sim, in favour of having race tracks traverse residential sims. 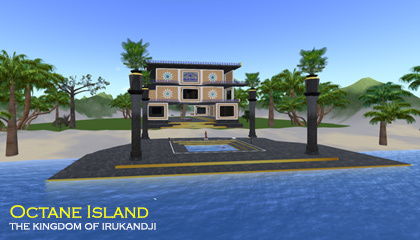 This creates a very cool atmosphere. 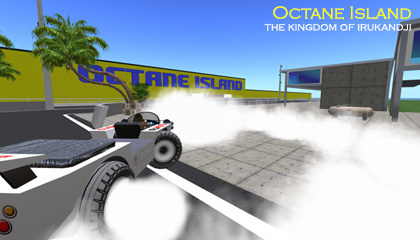 Below is a comprehensive collection of photos of Octane Island.